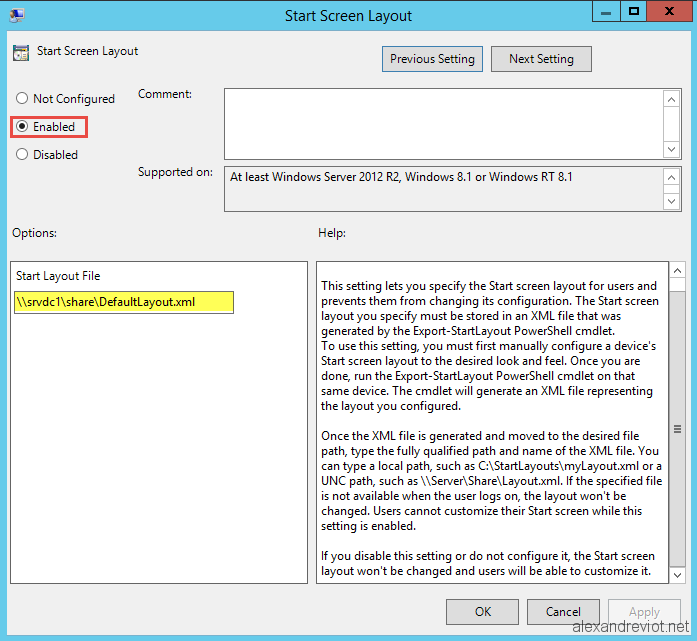 Microsoft released two Powershell cmdlets to manage the Start Menu Layout: Export-Startmenu and Import-Startmenu. 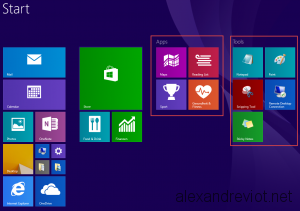 With the cmdlet Import-StartMenu, the default layout will be imported in the default user profile. It means that all new users will get the default layout. 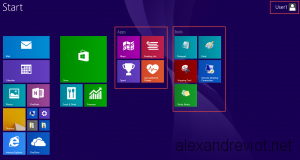 But, if the user modifies, pins or removes applications and shortcut, modifications are saved in his profile. 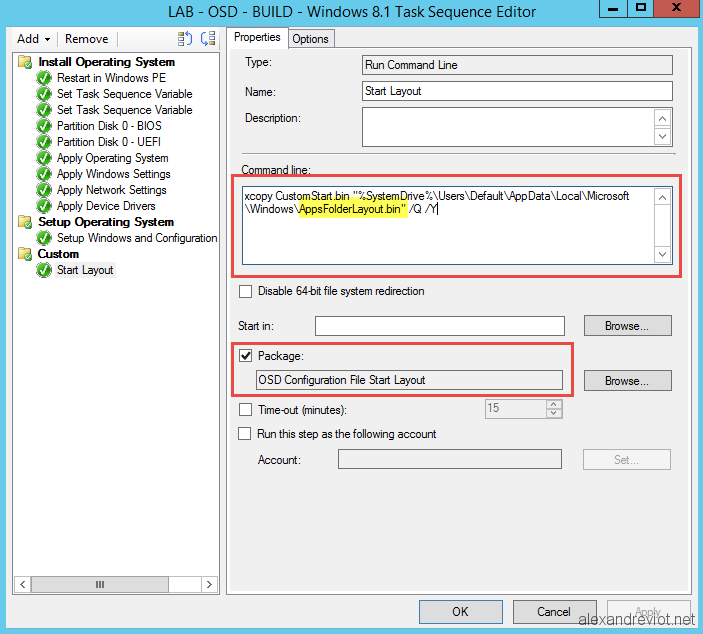 It is possible to use System Center Configuration Manager during the OSD to deploy this new Start Menu. 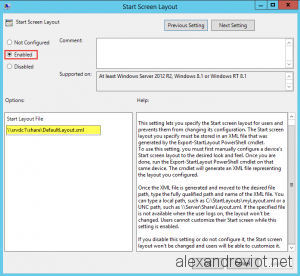 However, we can not use Import-Startlayout cmdlet but we will copy the .bin file to the default profile with a specific name : AppsFolderLayout.bin. 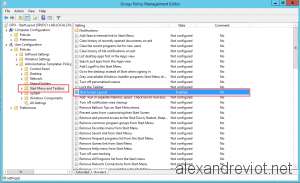 Create a SCCM Package with your .bin file. We can also deploy a Start Menu layout using GPO. 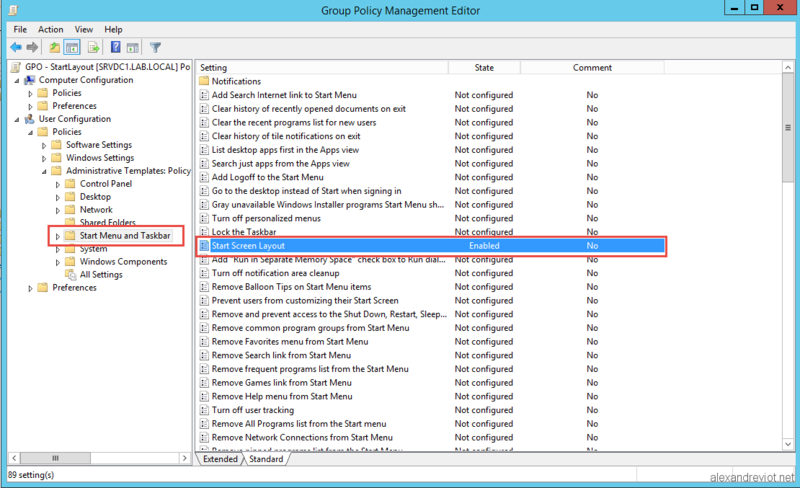 With Group Policy, the layout is forced on each user. 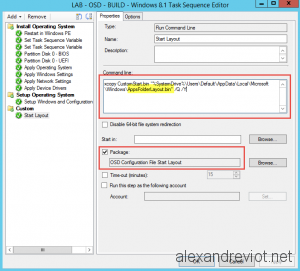 If the user logoff and logon, all modifications on the start menu are lost. Revert to the default layout on each logon. Enable the setting and fill information need. A UNC path must be set. You can get more information about cmdlet here. 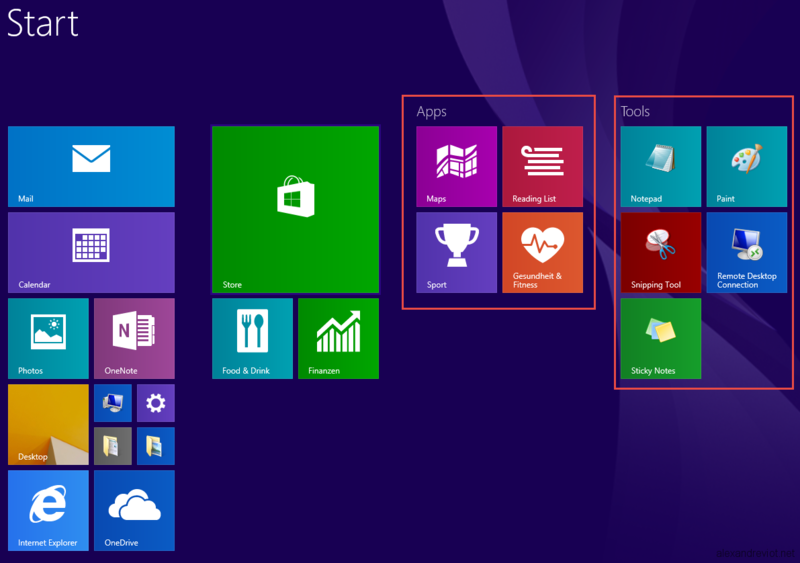 This entry was posted in GPO, Powershell, Windows, Windows 8 and tagged force, layout, powershell, start, windows. Bookmark the permalink. Hi, thanks for this. Is there a way you can add custom tiles(done in OblyTiles) to be added in the StartScreen layout? In the company I am working for, they wanted to have 5 different custom layouts to suit different groups. They wanted to add different tiles(created in Oblytiles) like Webapp shortcuts…I’m not quite sure if this can be done…Thanks.